Like others, I try to learn something new everyday. Today, I learned about the hydraulic rescue tool known as the "Jaws of Life." Thanks to my colleague, Jake, I now know that the "Jaws of Life" is the brand name for a piece of rescue equipment manufactured by Hurst. 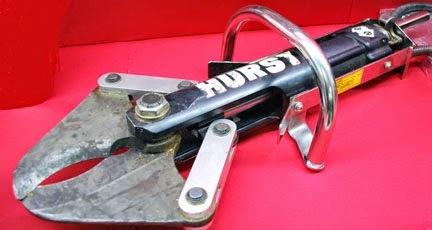 According to the company's website, "Hurst Jaws of Life® rescue systems have been instrumental in saving hundreds of thousands of lives" in the more than 40 years since the equipment first was patented. Like Kleenex, Xerox, Band-Aid, and Dumpster, among others, the brand name "Jaws of Life" has become synonymous with the object itself. As we prepare to retell the story of our exodus from Egypt, may we never again find ourselves so inexorably trapped--in a car, in a job, in a relationship, in a place that we just do not want to be--that it takes the "Jaws of Life" to extricate us from our personal slavery.